Reach Mobiles has officially launched a new phone in the market. It’s the Reach Opulent which will be targeting customers who have budget of Rs 4,000 [under $70] in India. Specifications-wise it offers a great value for money but lacks 4G here. Reach Opulent will be competing with the likes of Xolo Era HD, Nexian NV45 and other popular phones under Rs 4,000 in India. 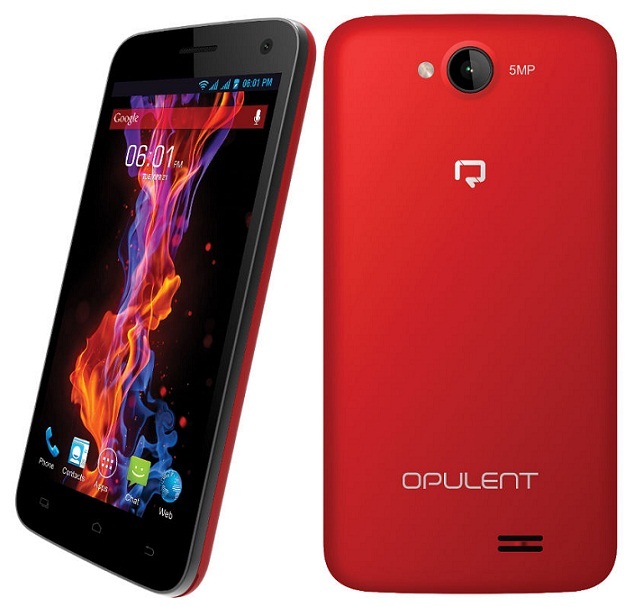 Reach Opulent is priced at at Rs 3599 and available for purchased via ShopClues in Black, White, Orange and Red color choice. Disclaimer: Specifications for Reach Opulent were entered manually. Technos Amigos doesn’t guarantee of 100 % correct information. If you find some mistakes, please report to us, using Contact Us page.